The Hong Kong PhD Fellowship Scheme (HKPFS), established in 2009 by the Research Grants Council (RGC), aims at attracting the best and brightest students in the world to pursue their PhD programmes in Hong Kong’s institutions. About 200 PhD Fellowships will be awarded each academic year. For awardees who need more than three years to complete the PhD degree, additional support may be provided by the chosen institutions. The financial aid is available for any field of study. The Stipendium Hungaricum Scholarship Programme, by the Hungarian Government offers international students the opportunity to undergo study of all types in Hungary for free. The core mission of the programme is to increase the number of foreign students in Hungary and to encourage Hungarian higher education institutions to attract top foreign students. The Programme is managed by Tempus Public Foundation. The FAO-Hungary scholarship programme enables a select group of young professionals to undertake master’s level studies in English at one of Hungary’s agricultural universities. The scholarship covers student costs only; family members are not supported within the frame of this programme. At the inaugural plenary of the India – Africa Forum Summit held in New Delhi in April 2008, the Hon’ble Prime Minister of India announced the Government of India’s initiative to enhance the academic opportunities for students of African countries in India by increasing the number of scholarships for them to pursue undergraduate, postgraduate and higher courses. The Developing Countries Partnership Program on Scholarship or Beasiswa KNB (Kemitraan Negara Berkembang) is offered for the Master Degree Program at one of 12 prominent Universities in Indonesia for 3 years period. The program has been offered, since 2002, to the Master Degree candidates from the developing countries all around the world. The World Bank and the Government of Japan, through the Joint Japan/World Bank Graduate Scholarship Program, offer scholarships for Masters Degree to postgraduate students from developing countries to study in Japan. It is anticipated that scholars would return to their countries to apply their enhanced knowledge and skills towards helping accelerate the pace of economic and social development. The Ministry of Education, Culture, Sports, Science and Technology (MEXT) Japan offers scholarships to international students who wish to study at Japanese universities as undergraduate students under the Japanese Government (MEXT) Scholarship Program. 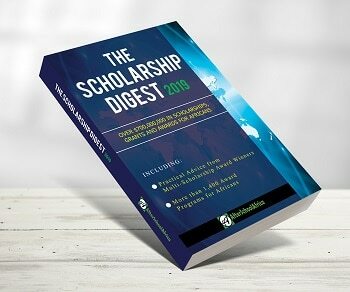 Applications for the Lagos State Undergraduate and Postgraduate Scholarship Award is open to Lagos state indigenes, who are students in Tertiary institutions in Nigeria and meet the eligibility criteria as outlined.